This project was created on 07/30/2014 and last updated 2 months ago. The Moteino automation system is a decoupled framework of internet connected things designed to add convenience, monitoring, security and safety to a residence, living space and beyond. It is powered by a range of devices that are based on the Moteino wireless Arduino compatible development board. The small size and versatility enable you to build low power nodes that gather environmental data, or devices that control things in your home. This interface is maintained here. I have long wanted to build my own automation framework for my residence. All existing solutions were either expensive, poorly designed, underperformant, bulky or not versatile enough for what I needed. So I created the Moteino, a low power wireless Arduino compatible based on the popular Atmega328p chip, that accepts RFM69W/HW/CW or RFM12B transceivers on reverse, is of SD card size, is wirelessly programmable and can fit in very small enclosures. Mailbox via MailboxNotifier (aka MailboxAlert or MailMote). This little sensor box can run for many months on a small LiPoly battery and reports back motion detected at the mailbox, battery level, and the last time the mailbox was opened. It became one of the most loved Moteino based devices at our house, and very popular blog project. The love for this device grows more with every Michigan winter storm. Thank you MailboxAlert! Garage door via GarageMote. This device can detect the garage doors position (open, closed, unknown), and trigger an open/close action. Very useful on those stressful days when you wonder if you closed the garage. The sump pump mote via an ultrasonic sensor. Going on vacation? If your sump pump fails you could come home to a few feet of water, so better safe than sorry. Motion via the MotionMote. Care to know when there&apos;s motion in your house when there shouldn&apos;t be any? Me too! Lights via SwitchMote. Swap your current mechanical light switches with SwitchMotes and control your lights wirelessly in addition to the new push button. They work at 120-250V but are designed to fit US electrical boxes. Water meter via a photo reflective sensor. Useful to monitor water usage for potential pipe breaks or water leakage. Remote SSL secured control. The RaspberryPi gateway computer can relay a SSL secured web interface to the internet allowing the owner to check status and take actions from anywhere on the internet. Real time updates. Secure sockets allow the remote interface to receive real time updates from the Pi gateway. No more boring browser refreshes. Wireless over-the-air programming of critical devices or those enclosed in difficult locations (especially the SwitchMote which is wired to mains and attached in electric boxes behind covers). The central Moteino+RaspberryPi gateway computer has to survive a power outage and continue to receive critical messages from battery operated nodes such as MotionMote. Components have to be easy to source, manufacture and system easy to scale. The network can be extended with new Moteino based devices at any time without changing the topology or disturbing existing devices. With the release of MoteinoM0 I also wanted to make available a few boards specifically designed to mount flat on the M0 PCB for a super compact wireless sensor platform. The latest details and sample code are found added to the guide page. I prepared a video to cover all the basics of thevarious LoRa and RFM69 transceivers used on Moteino boards. I concentrated on the most common topics I&apos;ve seen show up in the forum and in support emails. 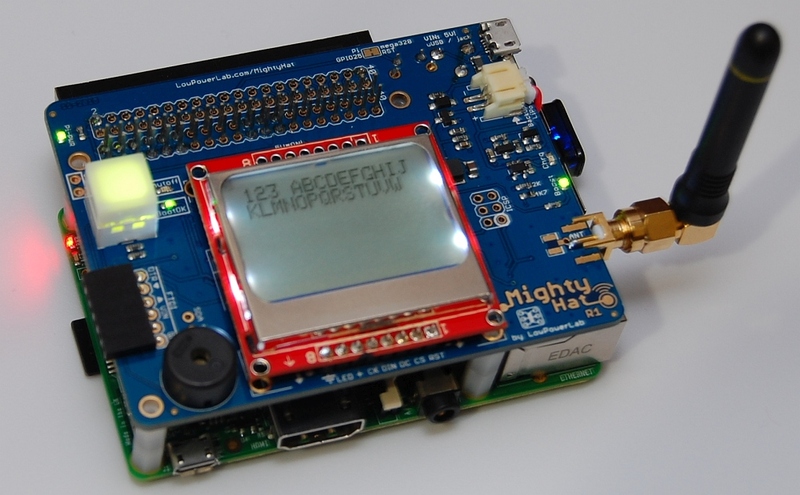 This should be a good primer for those getting started with using sub-Ghz transceivers with Arduino or Moteino or even other compatible boards, since most principles apply the same way. I also made a video about the new PCB Dipole Antenna, a significant upgrade from the previous version. This has a nice VSWR of almost 1.0 at both 868Mhz (at default 78mm length), and 915Mhz (trimmed at 73.5mm). It could be trimmed anywhere down to 2.4Ghz but it will be a best performer for the wideband LoRa and FSK radios in the sub Ghz ranges. For more details and theory on dipoles be sure to check out the dipole section in the RF-Best-Practices Guide. In addition, there are now MEGA variants with integrated USB which take LoRa radios but will also work with RFM69HCW. 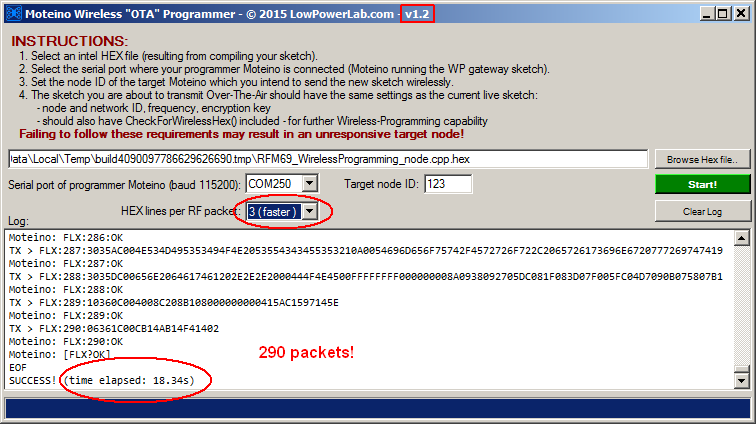 So now the Moteino family can accept any type of RFM69 radio, and also the RFM92-98 LoRa radios. Legacy radios include RFM12b and RFM22b which are also usable on these boards. Check out these videos from John&apos;s DIY Playground who implemented a custom home automation system of his own, based on my gateway solution. He has implemented various nodes that control and monitor things around his house. He has also customized some of the gateway scripts and node sketches to achieve some nice variation and extra features (via metrics.js). For instance he mentioned something cool which I initially envisioned as a use case when I designed the hardware but never implemented this feature on my own SwitchMotes: using the unused status LEDs (and button?) of a SwitchMote to display the status of his GarageMote. Check out the video implementation of his utility room node and also the other videos where he covers configuration and setup of the gateway. This is a nice 3rd party overview of my hardware and gateway software. Thank you John for these videos and sharing your work! More details about this update can be found in this blog post. 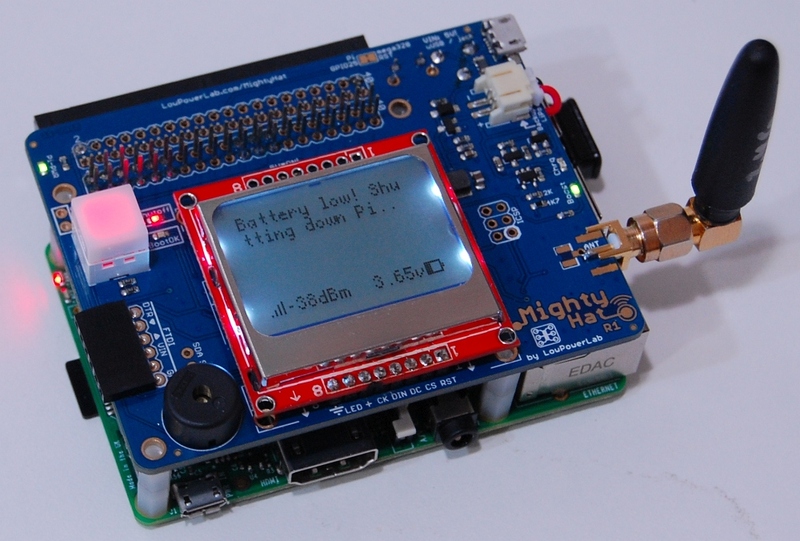 Give your Pi a MightyHat! Check this page for detailed features of MightyHat. I mentioned before that there’s added support for HTTP requests in the gateway interface. That allows using things like wi-fi thermostats, and this story is a review of how I did just that. See more details about this install in this blog post. I researched for an open API WiFi thermostat and I found very few and they are typically expensive, except the RadioThermostat CT50 which was around $100 including shipping. If you know of a good open API thermostat let me know! Another node type is now available on the Gateway automation interface: a sprinkler controller. 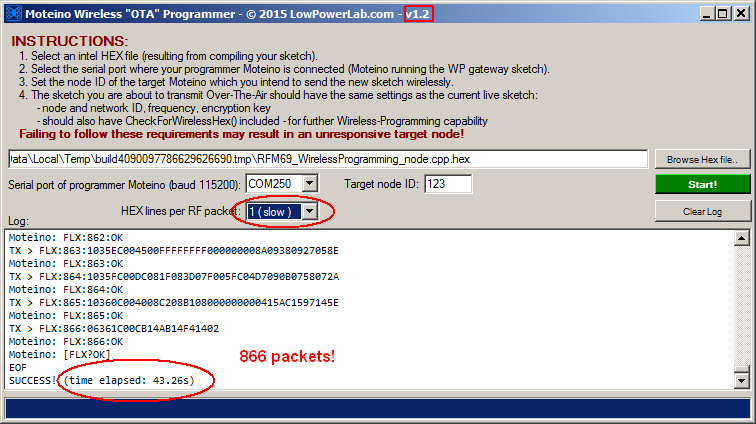 This is achievable through a board I designed to be able to control many outputs. I call this board IOShield and it features two 74HC595 serial to parallel shift registers. The RFM69 IOShield example skech for sprinkler control has been posted at Github. The latest Gateway image andsource files also contain the definition for the sprinkler node, just plug it in and it should pop right on the interface. Sample zones and events have been defined as well, you can easily define your own or make your own schedules in metrics.js. Graphing will show you which zone ran, for how long etc. Enjoy! I&apos;ve been talking about a new gateway interface for a while in the forum. I will release more details and the source code soon. This content will be updated and improved on the dedicated Moteino Gateway page where all the source code and details will be published as they become available. This is a work in progress and I encourage discussion, suggestions, bug reporting in the dedicated forum I created for this and all gateway related topics. The Github repositories containing source code, eagle files, and any CAD/visual data are found here. How open is the network of the devices? One of the real critical components to a project like this is the packet/msg design and how to identify devices and their properties on the network. This may be beyond the scope of the this HaD project, but have you given any thought on on the packet/msg protocol that the devices would use to share state, etc? I presume you have something you are using in your own project, is it something you would be willing to share? Thanks for including LoFi in your architecture log posting (I see its distinctive yellow pigtail poking into one of your pictures). I appreciate all of the hard work you’ve put into Moteino over the years, including the many revisions, and extensive support. I hope it is selling well for you. Even though we are competitors in this event, we obviously share the same passion. If you are ever in Chicago, drop me a line so we can meet up. Is it possible to be hacked? I don't like RF control systems for this reason. You have a choice of AES128bit hardware encryption on the wireless transmissions. Then you can implement your own algorithms to avoid any potential replay attacks (which BTW would require a fairly high tech attacker). Hi Felix. I'm a fan of your RFM69 library, and use it in my own Hackaday project. Glad to see you on here! I've been using your RFM library to integrate wireless sensors into another home automation platform called OpenHAB, and it's been really great. Congratulations, Felix, on being a THP semifinalist - you certainly deserve it! Moteino is definitively the best RF integrated Arduino clone. I've tried others, but moteino is far the best option. Great project, it looks like it will address a number of problems, and make it easy to add new types of sensors and automation. Kudos on a well-documented project that looks great. Very nice, can you measure the time of flight between two sensors ? I have bought about 8 Moteinos and now use them as temperature and mumidity sensors around the house. I have connected one as a gateway to my server that logs temperature, humidity, uptime (Moteino battery life), RSSI and battery voltage. The data is uploaded to a MySQL database using my own API. Now I'm making v3 of the logging system with display and barometric pressure in addition to the above mentioned. You are about to report the project "The Moteino Framework", please tell us the reason.